From 1969 to 2011, Colonel Gadhafi ruled over Libya with a fist of iron. All forms of dissidence were brutally repressed. Arbitrary detention, torture, enforced disappearances and executions following fake trials were widespread. 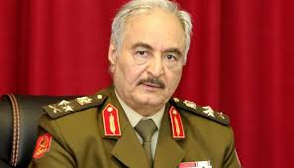 Unfortunately, the fall of the regime precipitated Libya in a civil war where human rights are more endangered than ever. Given the deliquescence of the domestic judiciary, international procedures were the only viable option for victims to finally obtain justice. TRIAL International has therefore filed six cases before the United Nations Human Rights Committee (HRC) between 2008 and 2011. No case has been taken up since the fall of Gadhafi’s regime. The six cases related to regime opponents and human rights activists, but also to innocent civilians who sometimes did not even know why they were arrested. Each time, the HRC recognized the responsibility of the Libyan State in those human rights violations.